Before Christmas season kicks into full gear, HBO HD on SKYcable Prepaid will heat up the last weekend of November with action flicks. The last weekend of November promises massive hits for fantasy and sci-fi fans. Dracula Untold premieres on November 28 at 9PM, starring Luke Evans and Dominic Cooper. 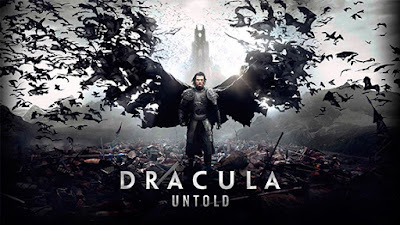 The story focuses on the unholy transformation of Vlad III – where in exchange for his humanity, he gained terrifying powers to crush enemy armies that threaten to destroy his home. Fans can catch its replay the following day at 1:30PM. Transformers: Age of Extinction, airing November 29 at 7:20PM, promises a most satisfying Sunday evening. Starring Mark Wahlberg, fans of the long-running franchise can watch as the Autobots and a new cast of humans rise to meet their most fearsome challenge yet. Tune-in to witness massive battles, on how humans and robots alike unite to save planet Earth. Don’t miss the action-packed hits only available on HBO HD. Current SKYcable subscribers who have already included HBO HD in their channel line-up can tune in to CH. 710. Existing subscribers of SKYcable Prepaid can also enjoy these hits by loading up on the P250 denomination prepaid cards or via converting their ABS-CBN Mobile load. Those who don’t have SKYcable plans yet can watch these hits by subscribing to SKYcable Prepaid, the only digital cable TV service in the country that frees subscribers from the hassle of monthly bills. New subscribers will get free P250 load valid for the first 60 days, and their very own ABS-CBN Mobile Sim with a bonus of a 30-day access to 800MB of internet service. SKYcable Prepaid includes channel favorites that everyone will surely love like BTV, ANC, CNN, Jeepney TV, Lifestyle Network, TLC, ETC, Myx, AXN HD, RTL CBS Entertainment, Cartoon Network HD, Toonami, Nickelodeon, and Disney. To know more about the HBO HD specials and SKYcable Prepaid, log on to www.mysky.com.ph, or call the 24-hour customer service hotline at 305-5456. You may also send a text for free to the text hotline 23662. The customer service team can also be reached via this email address: skyserves@skycable.com.ph.